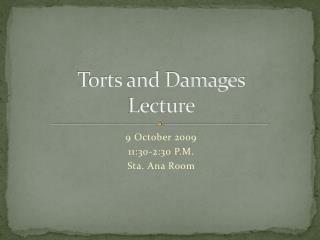 Torts!. Jessica Neilson, J.D., LL.M. 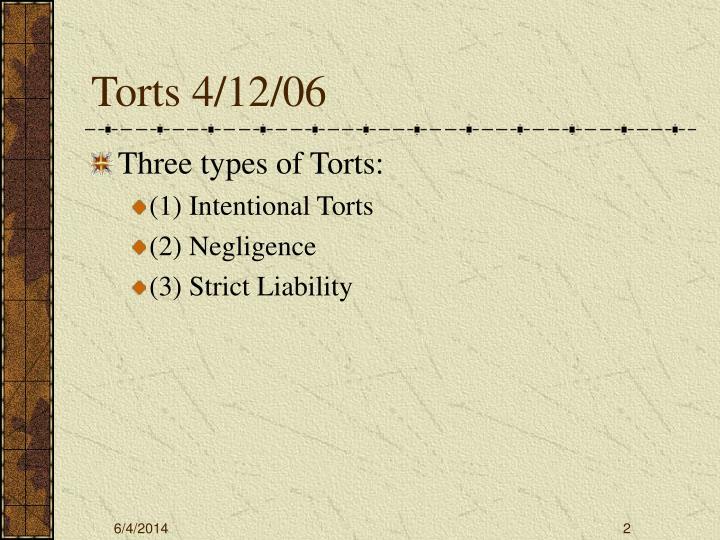 Torts 4/12/06	. 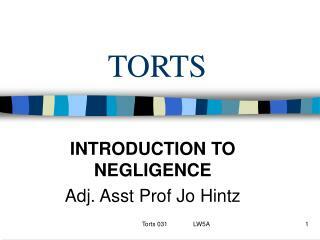 Three types of Torts: (1) Intentional Torts (2) Negligence (3) Strict Liability. 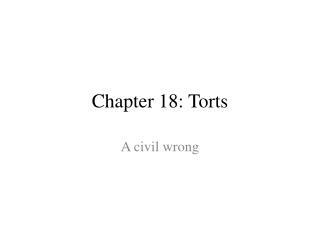 Torts. 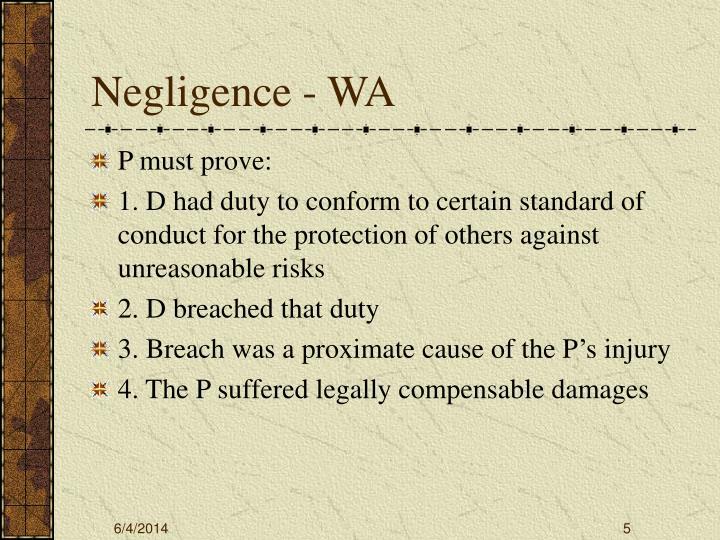 Negligence	. 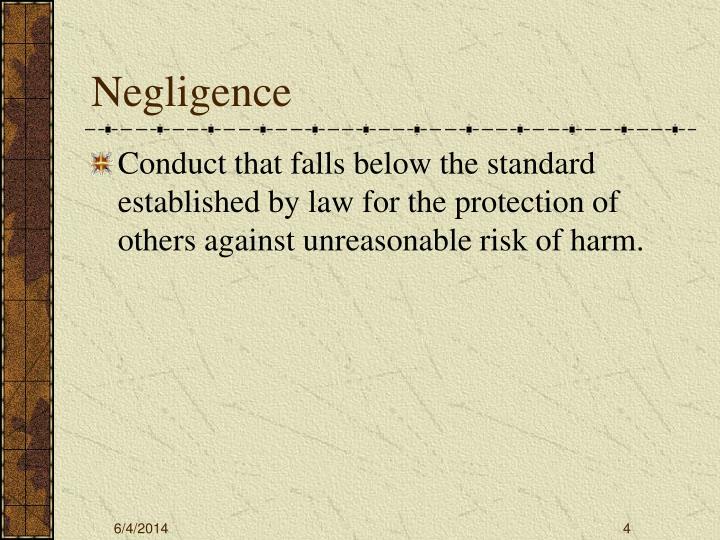 Conduct that falls below the standard established by law for the protection of others against unreasonable risk of harm. . 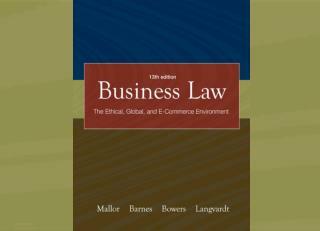 Conduct that falls below the standard established by law for the protection of others against unreasonable risk of harm. 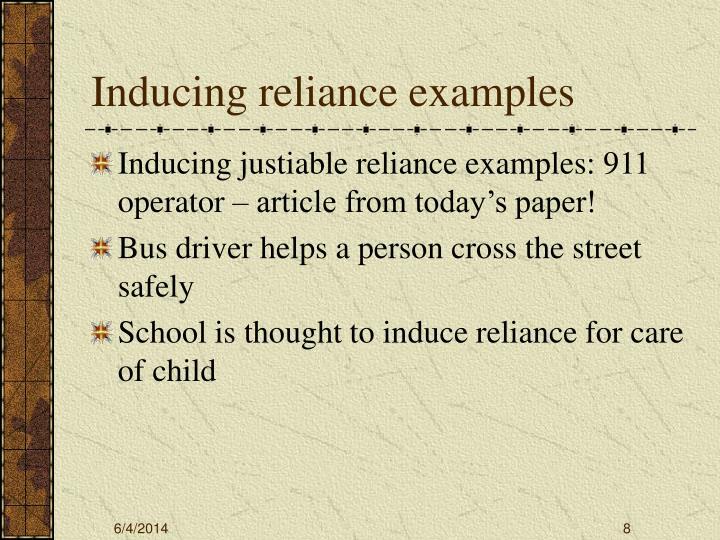 Inducing justiable reliance examples: 911 operator – article from today’s paper! 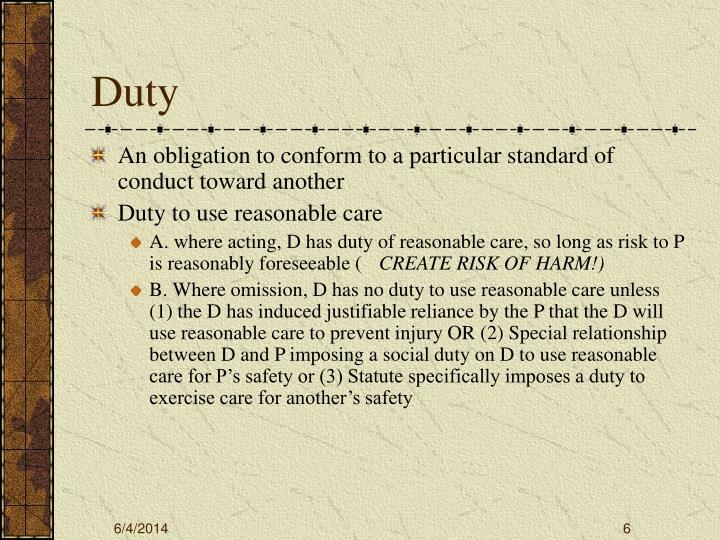 Duty – Special Relationship Exs. 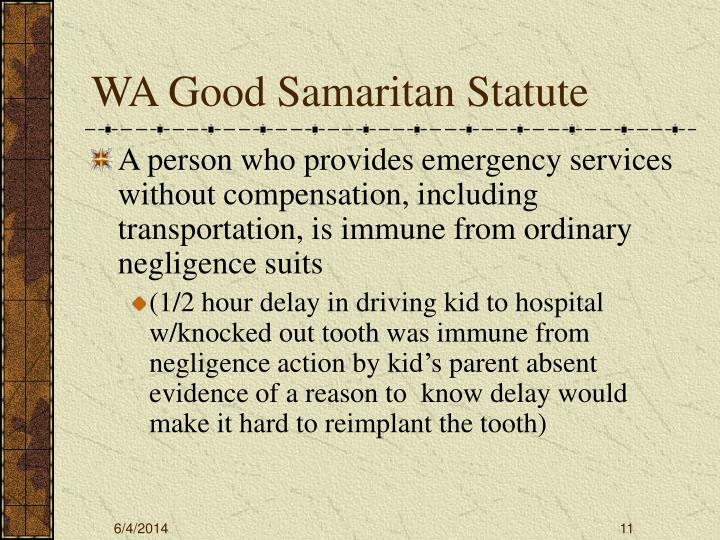 Rescuers are owed a duty of reasonable care by one whose negligence creates the apparent need for rescue. 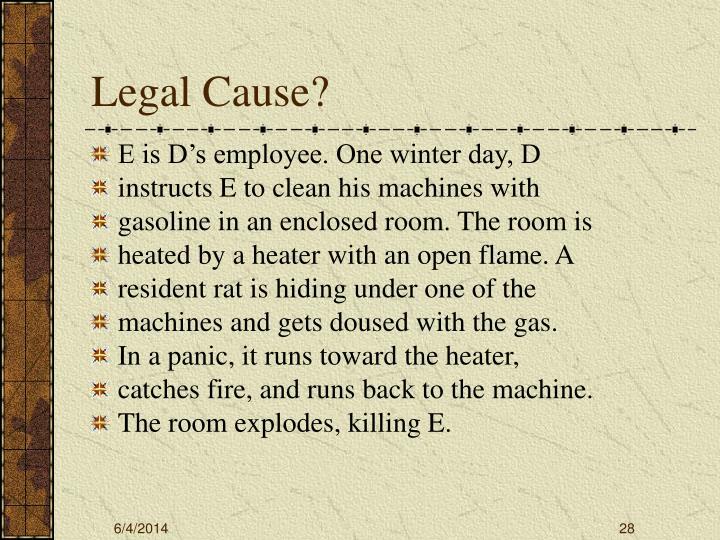 Was the peril to the D appearing imminent to rescuer? 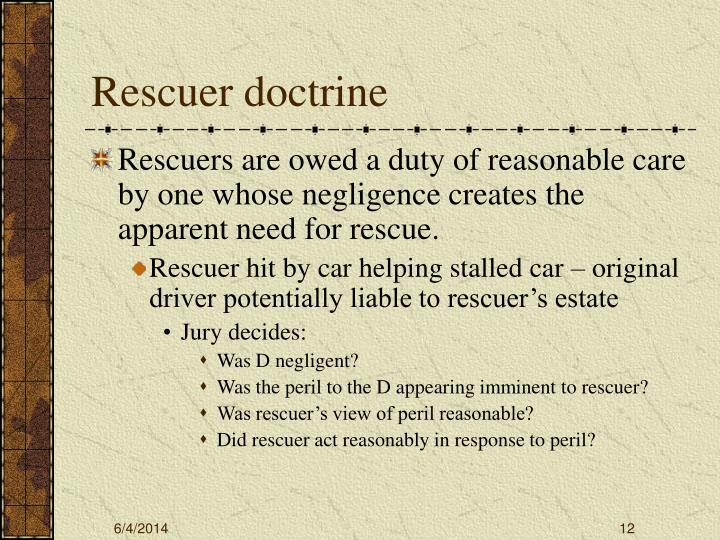 Was rescuer’s view of peril reasonable? 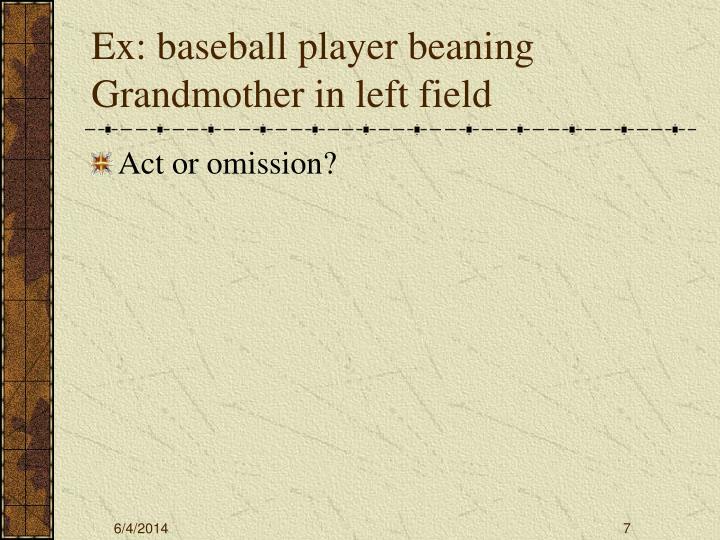 Did rescuer act reasonably in response to peril? 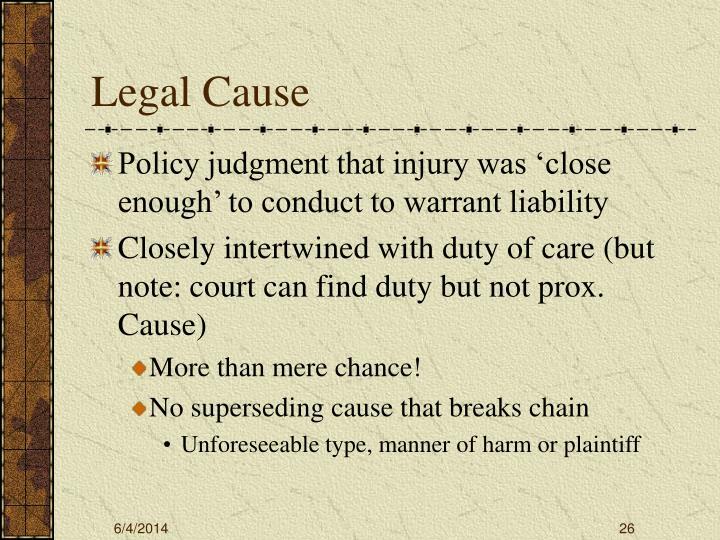 Do you have to protect against possibility of criminal conduct by 3d persons? 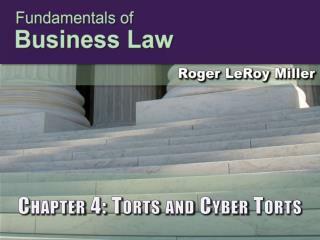 Generally, no duty to come to the aid of a stranger or protect others from criminal acts of 3d persons. 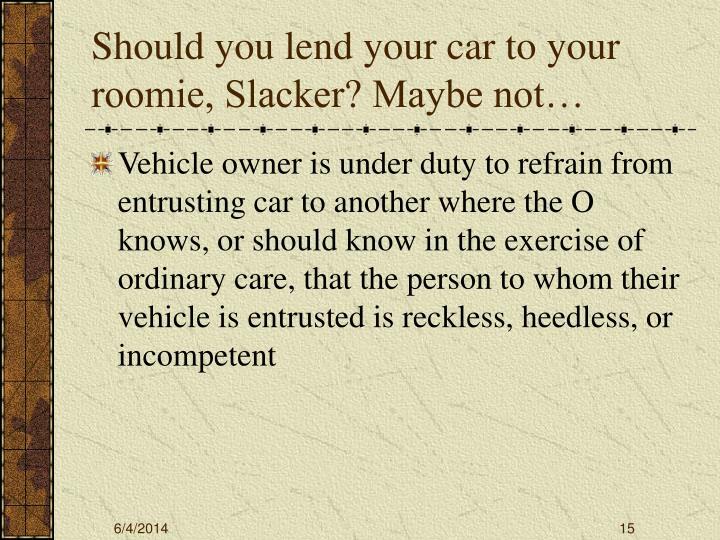 However: landowner has duty to provide reasonable levels of security, and others! 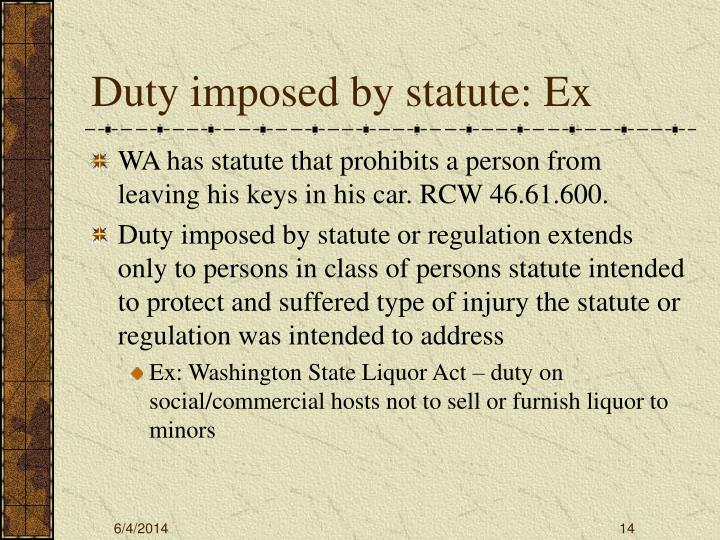 WA has statute that prohibits a person from leaving his keys in his car. RCW 46.61.600. 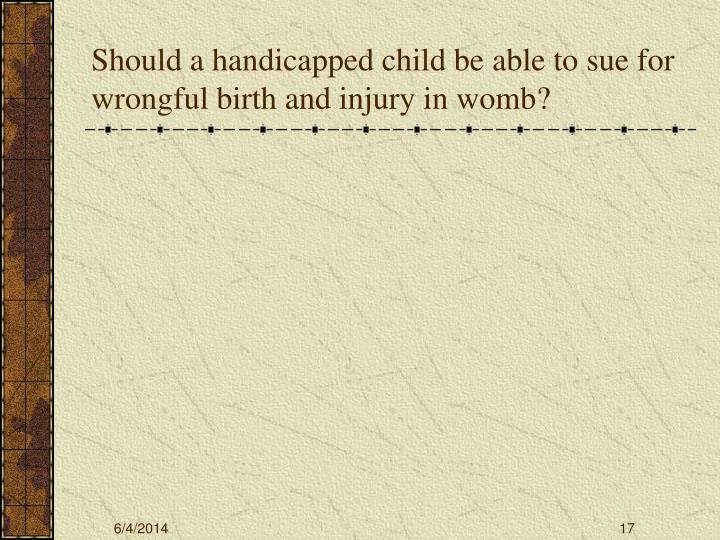 Should a handicapped child be able to sue for wrongful birth and injury in womb? 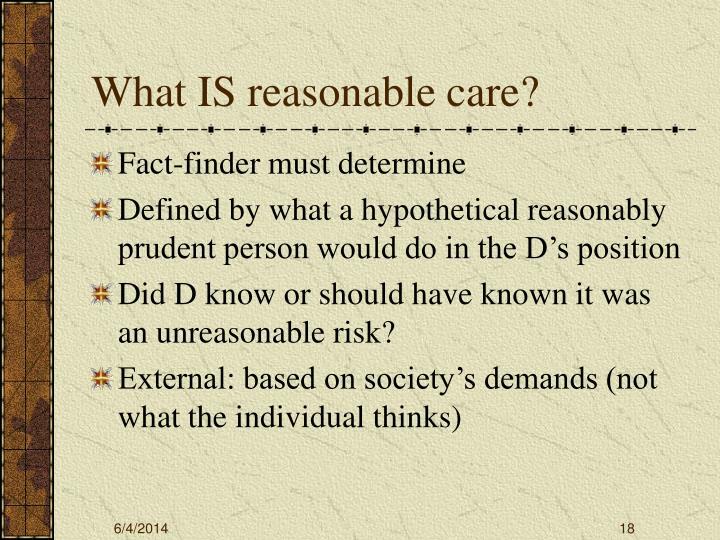 Did D know or should have known it was an unreasonable risk? 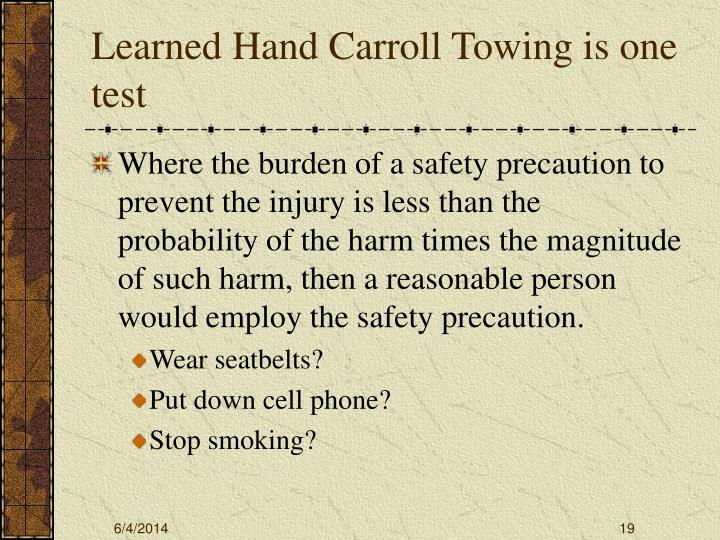 Where the burden of a safety precaution to prevent the injury is less than the probability of the harm times the magnitude of such harm, then a reasonable person would employ the safety precaution. 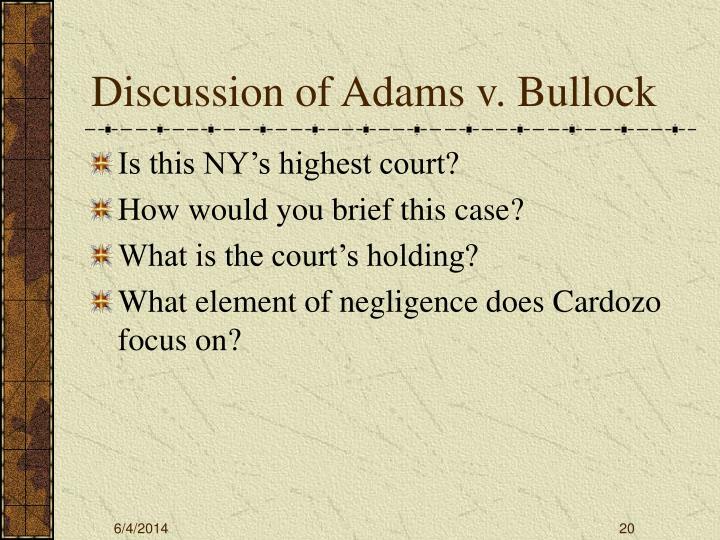 Is this NY’s highest court? 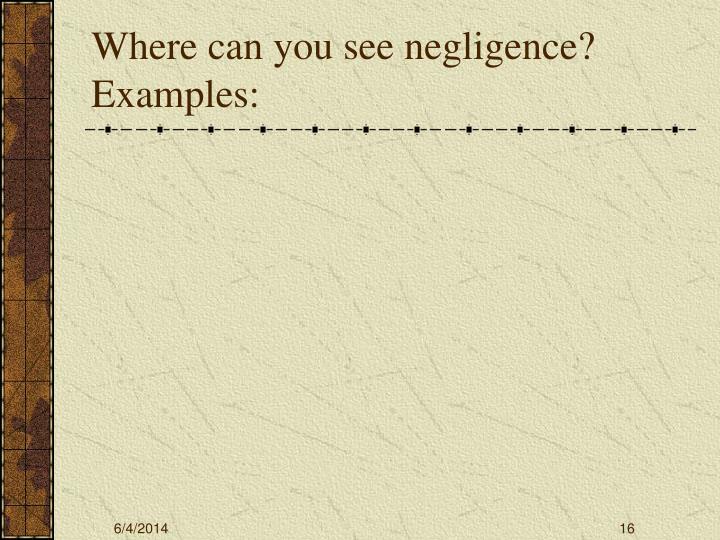 How would you brief this case? 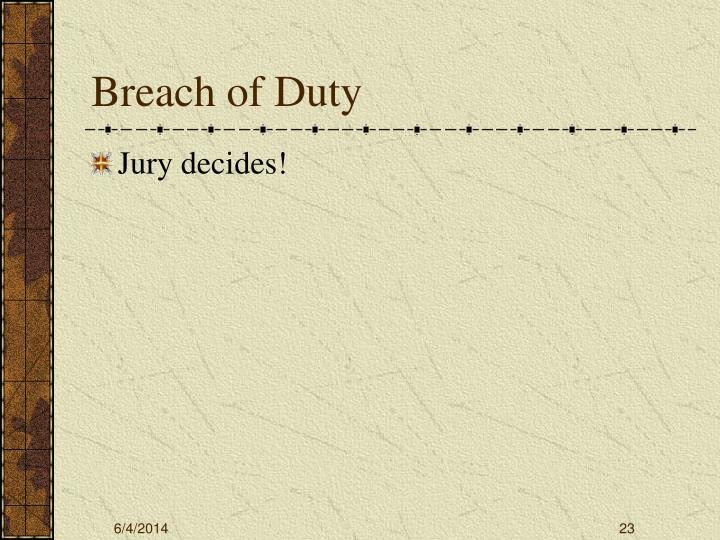 What is the court’s holding? 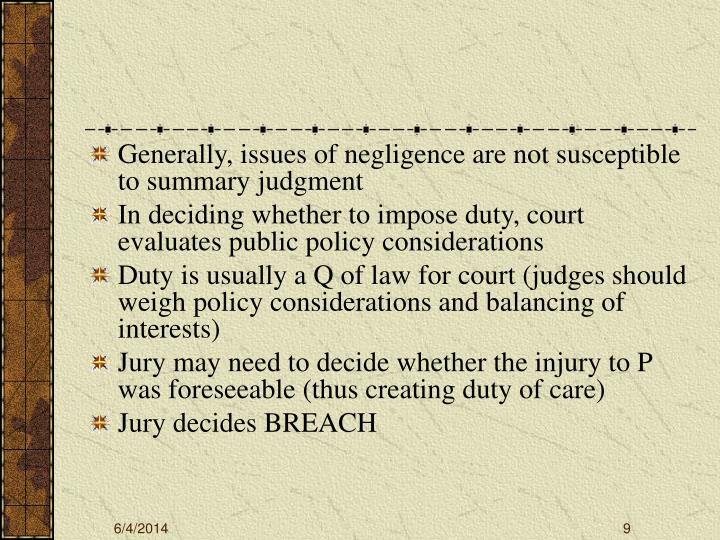 What element of negligence does Cardozo focus on? 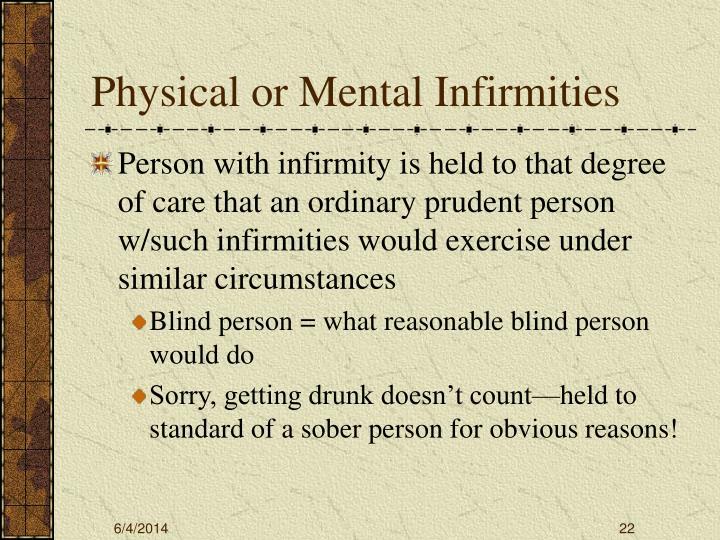 Sorry, getting drunk doesn’t count—held to standard of a sober person for obvious reasons! 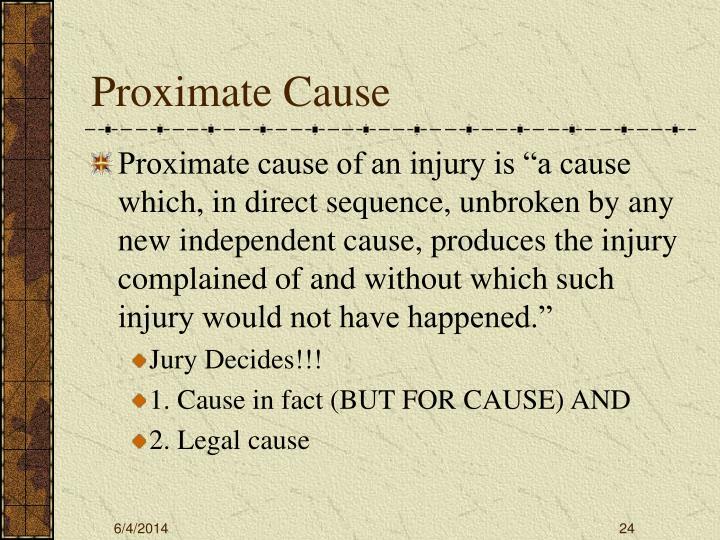 How do you prove But-For Cause? 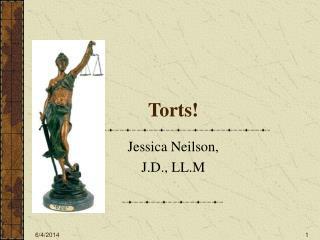 Often need expert testimony: $2500+ for each! 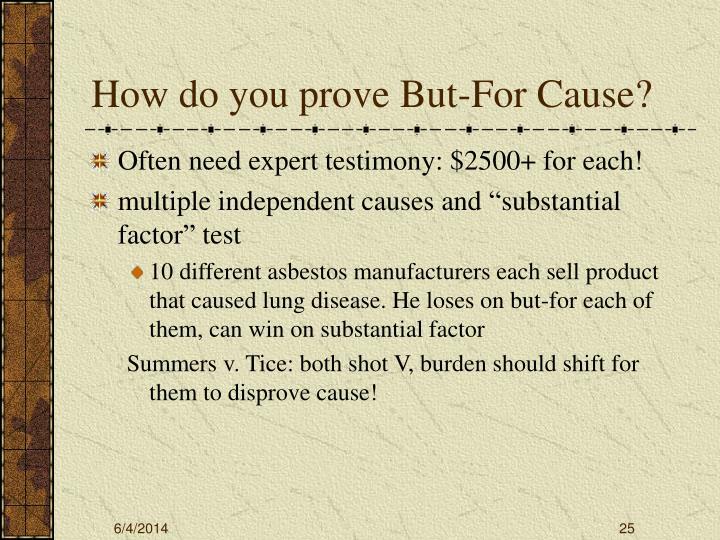 Summers v. Tice: both shot V, burden should shift for them to disprove cause! machines and gets doused with the gas. catches fire, and runs back to the machine. 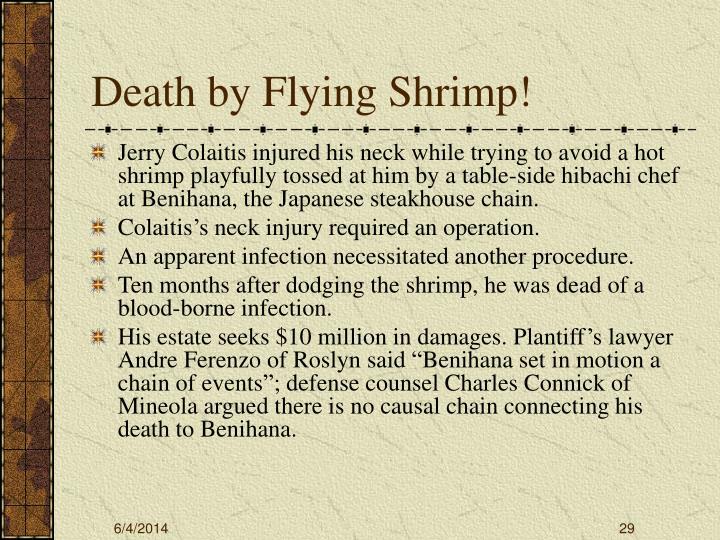 The room explodes, killing E.
Jerry Colaitis injured his neck while trying to avoid a hot shrimp playfully tossed at him by a table-side hibachi chef at Benihana, the Japanese steakhouse chain. Colaitis’s neck injury required an operation. 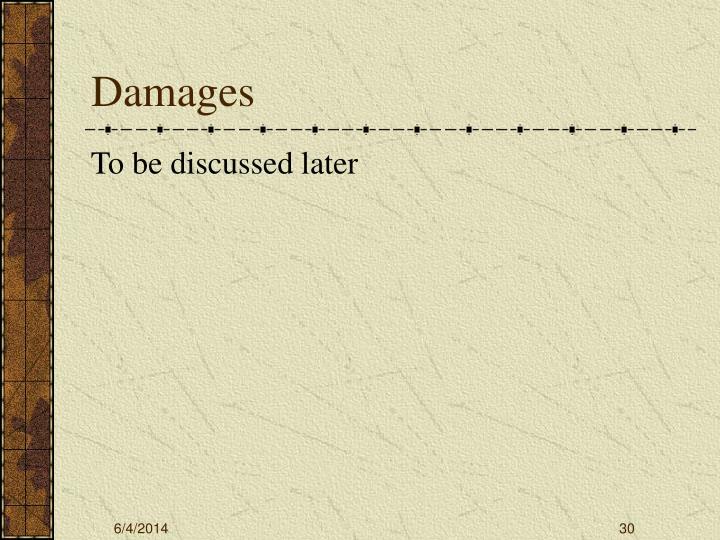 An apparent infection necessitated another procedure. Ten months after dodging the shrimp, he was dead of a blood-borne infection. 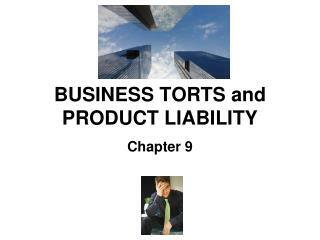 His estate seeks $10 million in damages. 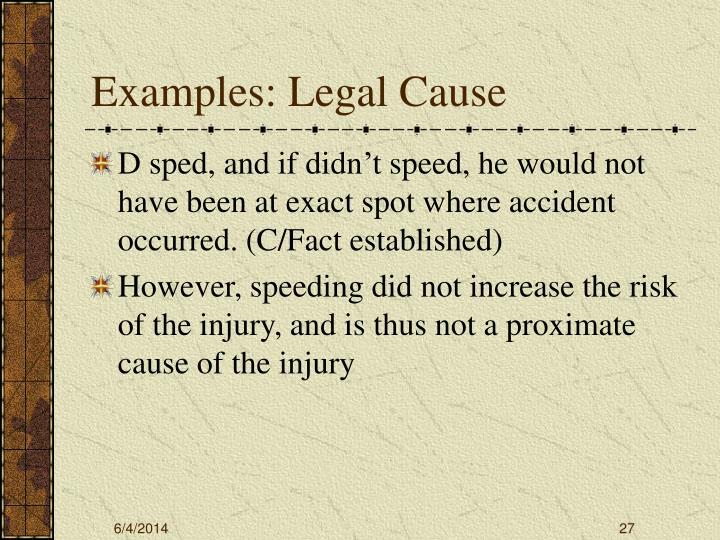 Plantiff’s lawyer Andre Ferenzo of Roslyn said “Benihana set in motion a chain of events”; defense counsel Charles Connick of Mineola argued there is no causal chain connecting his death to Benihana. Guns!!! 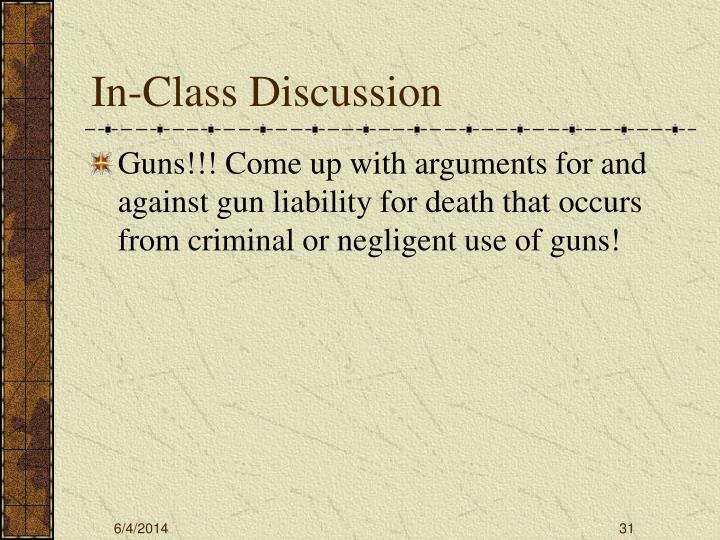 Come up with arguments for and against gun liability for death that occurs from criminal or negligent use of guns! 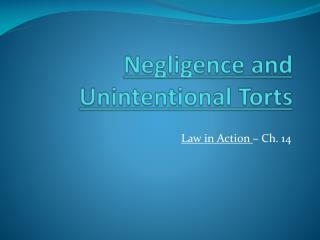 Intentional Torts, Negligence, and Strict Liability -. 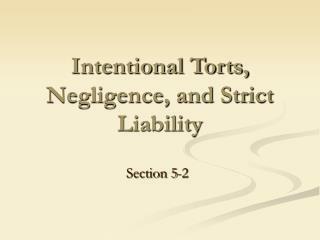 section 5-2. what are the most common intentional torts?. 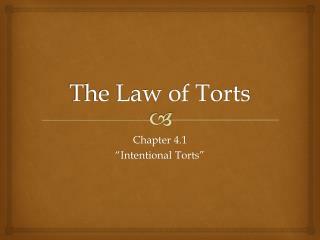 intentional torts are torts in which the defendant possessed the intent or purpose to inflict the resultant injury. 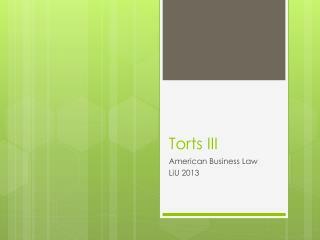 Title Slide -. 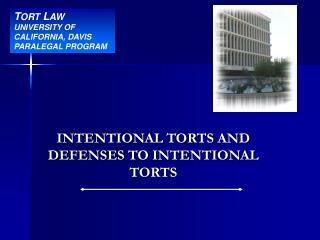 t ort l aw university of california, davis paralegal program. 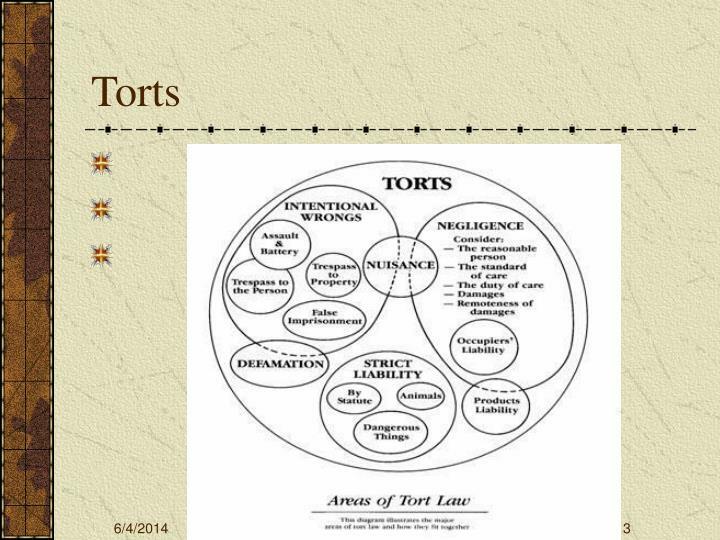 intentional torts and defenses to intentional torts. 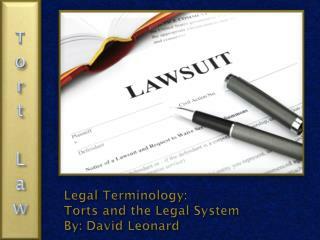 but first, a quick review ______________________________ broad categories of tort law:. 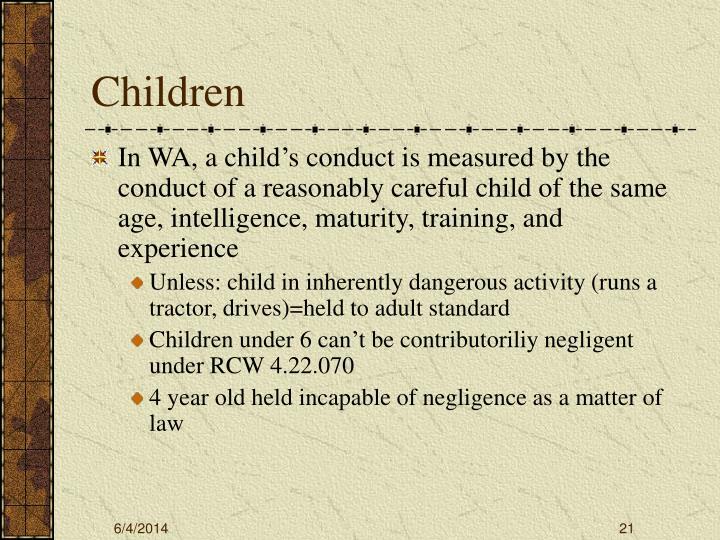 negligence. 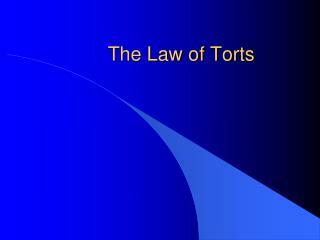 The Law of Torts -. 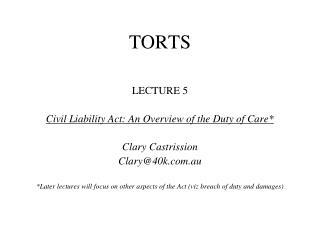 people are entitled to certain rights. 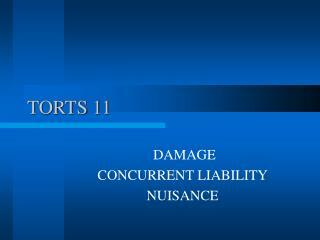 free from bodily harm right to enjoy a good reputation right to conduct business without unwanted interference right to have one’s property free from damage or trespass. 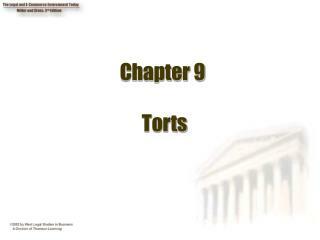 Chapter 9 Torts -Chapter objectives 1. explain how torts and crimes differ. 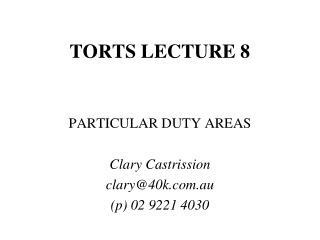 2. state the purpose of tort law. 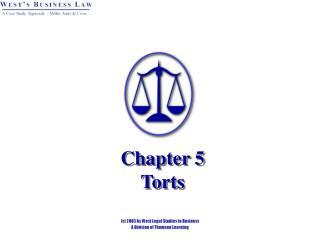 3. identify some intentional torts against persons and business relationships. 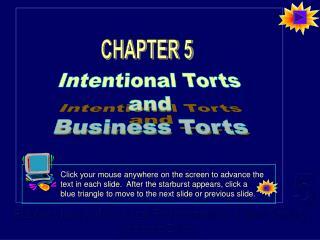 4. describe some intentional torts against property.